The owners of this hostel also own a large campground. 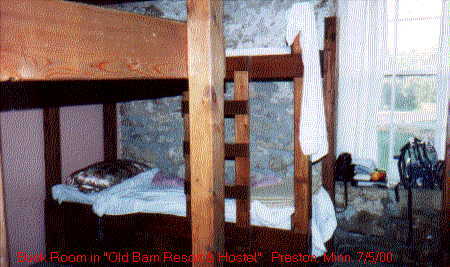 This hostel is in a big converted barn. 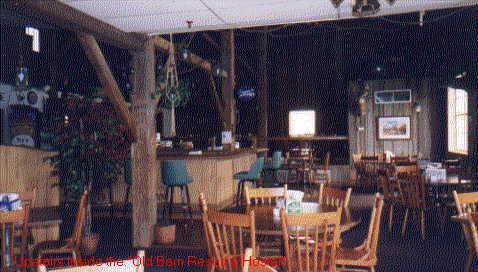 Also within the barn is a restaurant & bar for patrons. There's a golf course (not in the barn, silly), and an indoor, heated swimming pool. 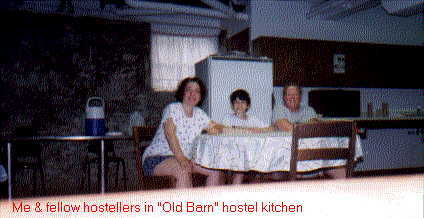 Right: The woman and her son reserve a family room at the Old Barn hostel every summer to enjoy the lovely wooded grounds, and to ride down the river in their inner tubes. 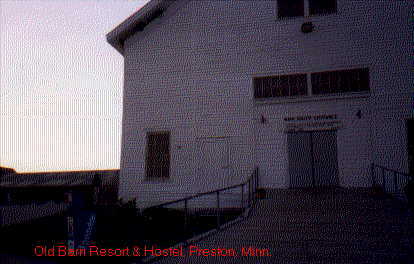 Left: Here's the restaurant and pub in the Old Barn Resort Hostel. There was also a room with a pool table, and a room with video games. Left: Always got to get a picture of my bunk. Love those bunks! Left the KOA in Sioux Falls by 5:30 AM. Heard a couple of rain drops on my tent--well, you know the drill! 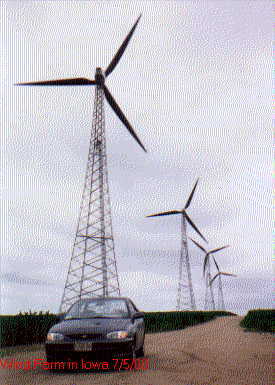 Drove to Storm Lake, Iowa to see the Wind Farm. Lots & lots of huge wind mills! Just one blade was bigger than my whole car. 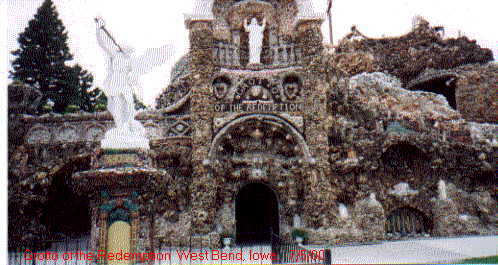 I wonder if the guy who built this alone, and the guy who built the "Coral Castle" alone were related? What causes that anyway? About the only thing I can build by myself is a submarine sandwich.